Natural Ringworm Remedies uses Google Analytics to help analyse how users use the site. The tool uses “cookies,” which are text files placed on your computer, to collect standard Internet log information and visitor behaviour information in an anonymous form. The information generated by the cookie about your use of the website (including your IP address) is transmitted to Google. This information is then used to evaluate visitors’ use of this website and to compile statistical reports on website activity. You may post follow-up questions. If you have a question, chances are you are not alone. Others are likely thinking similarly. Therefore, I would rather receive your comments on Natural Ringworm Remedies than via email. It is a better use of my time to address everyone at once rather than answer several similar emails. Natural Ringworm Remedies reserves the right to delete your comments. This is my blog. I don’t have an obligation to publish your comments. The First Amendment gives you the right to express your opinions on your blog, not mine. 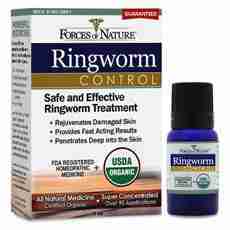 You grant Natural Ringworm Remedies a license to post your comments. This license is worldwide, irrevocable, non-exclusive, and royalty-free. You grant me the right to store, use, transmit, display, publish, reproduce, and distribute your comments in any format, including but not limited to a blog, in a book, a video, or presentation.